But we ALL have those days — those days when we need to feed all the hungry people, but we’re in a rush to get out the door or get to another responsibility. For days like these, which happen often, I usually pull some cooked chicken out of my freezer and do a really quick chicken meal for the family. I fill a pan (or two!) with chicken breasts and season them with a lot of salt and pepper. Then I spray them with olive oil because it keeps the moisture in during the cooking process. 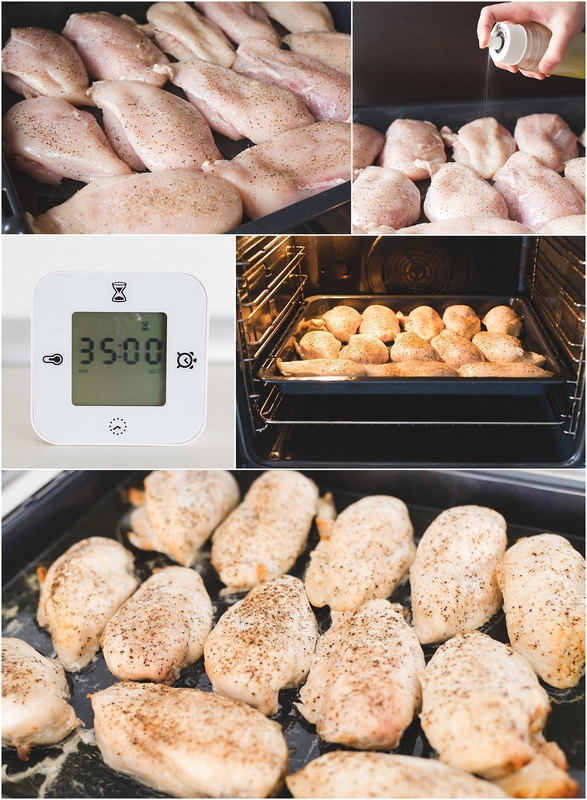 Set the timer for 35 minutes and bake the chicken (uncovered) in a 350-degree oven. Doesn’t take long to get several meals prepped by cooking the chicken ahead of time! This enchilada recipe calls for cooked, shredded chicken that you mix with onions, cheese, and green chile enchilada sauce. Having the chicken ready-to-go makes this meal easy to put together in minutes! For chicken tacos, take some cooked, shredded chicken out of the freezer. Add a splash of water and heat on the stove or in the microwave, then add taco seasoning. 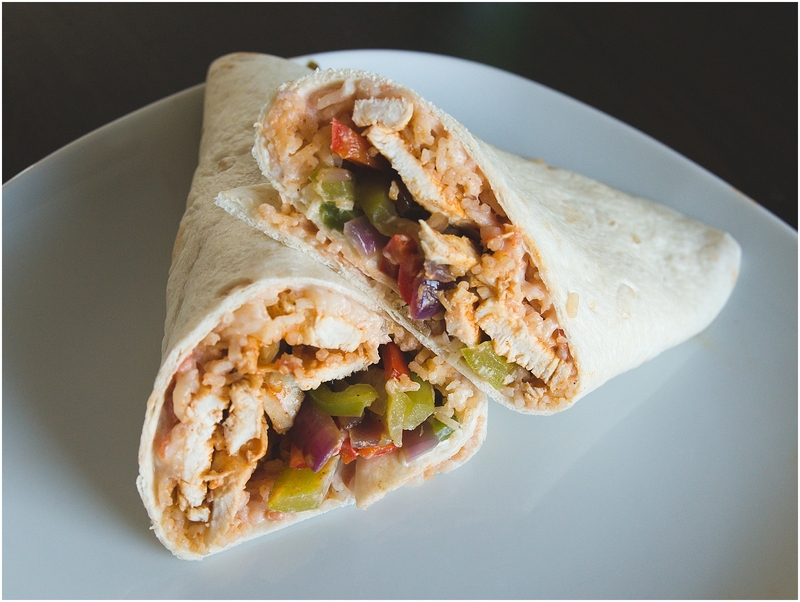 For fajitas, pre-cooked, sliced chicken can be heated with a splash of water and then seasoned with taco or fajita seasoning. I love fresh green salads with lots of fresh veggies, but adding a protein to my salad is very important! 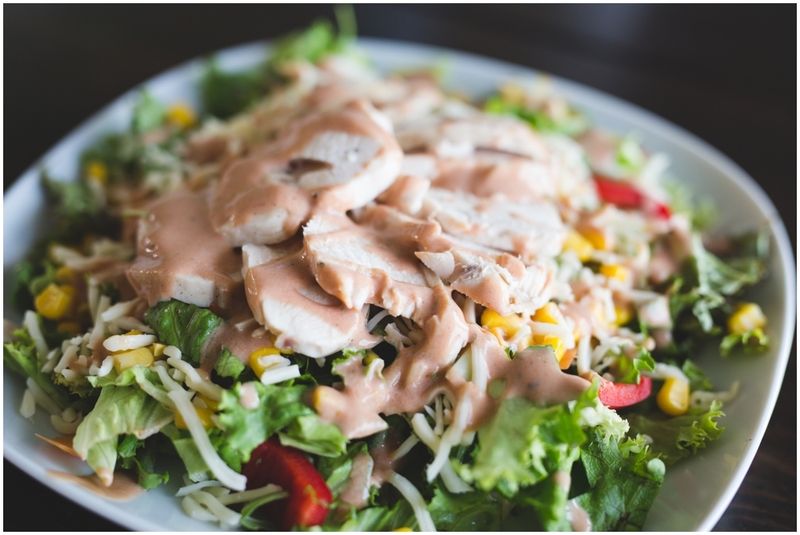 Having cooked, sliced chicken in the freezer makes it simple to add a protein to my salad! Rub your chicken with our Roasted Chicken Rub Spice Mix before you bake it, and you will LOVE those salads even more! Check out these summer salads or these spring salads for green salad inspiration! If it’s soup weather and you’re looking for a delicious but quick soup to make, you’ll be glad you have cooked, diced chicken in your freezer for this easy soup recipe! 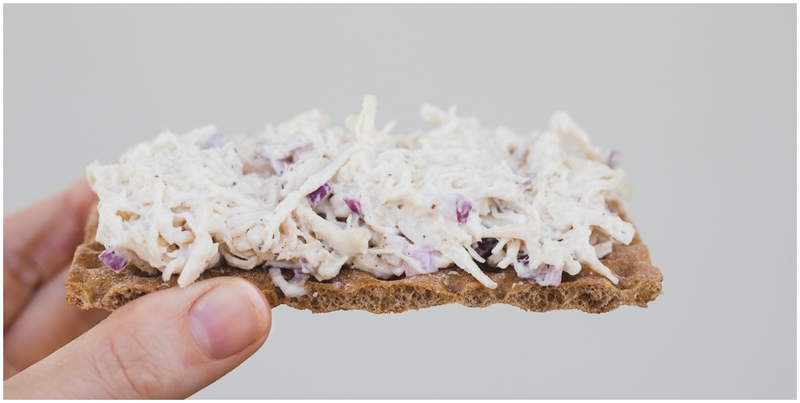 Mix some cooked, shredded chicken with mayo, onion, celery….whatever you like in your chicken salad….and eat it on bread or wasa crackers for a quick lunch! I love this recipe from Betty Crocker (but I prefer mixed veggies)! 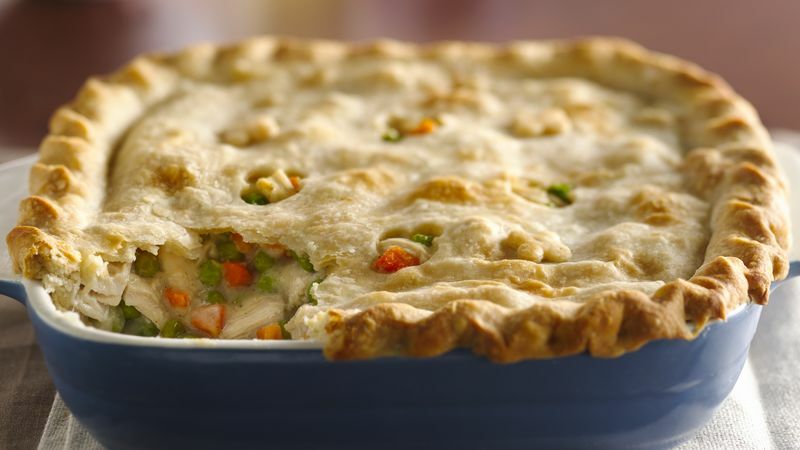 Using a store-bought pie crust and having the chicken already cooked and diced in my freezer makes this comfort-food-meal a cinch to pull together! Similar to chicken pot pie, THIS hearty soup recipe is one of our favorites! It calls for 1 1/2 lbs. cooked, diced chicken and will be ready in about 30 minutes! 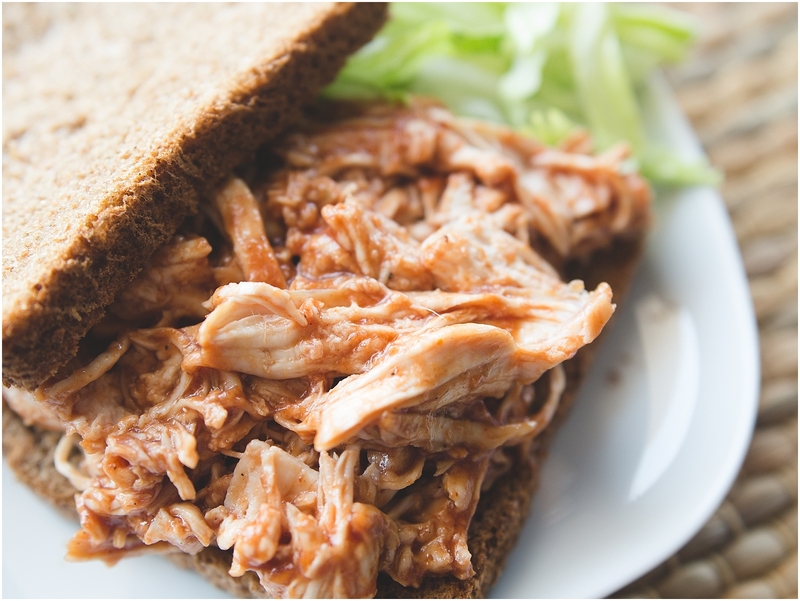 I love mixing cooked, shredded chicken with some bbq sauce for a quick sandwich dinner! 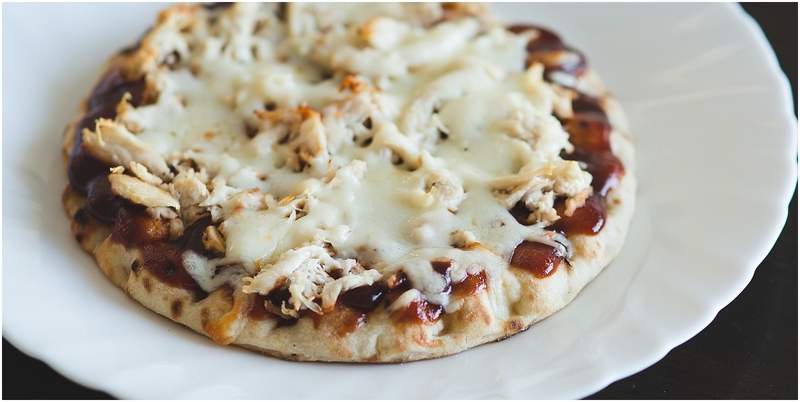 My kids love homemade pizza night, and one of their favorite pizzas to make is bbq chicken pizza. Having pre-cooked chicken makes pizza night even easier! One-pot pasta dishes are quick and easy meals! 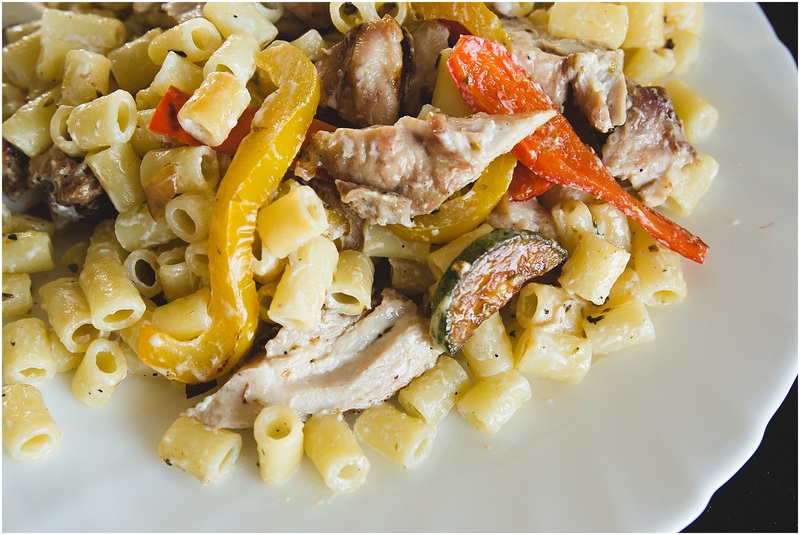 I love combining cooked pasta with cooked, diced chicken and sauteed peppers & onions or steamed broccoli, then moistening with a cream sauce! 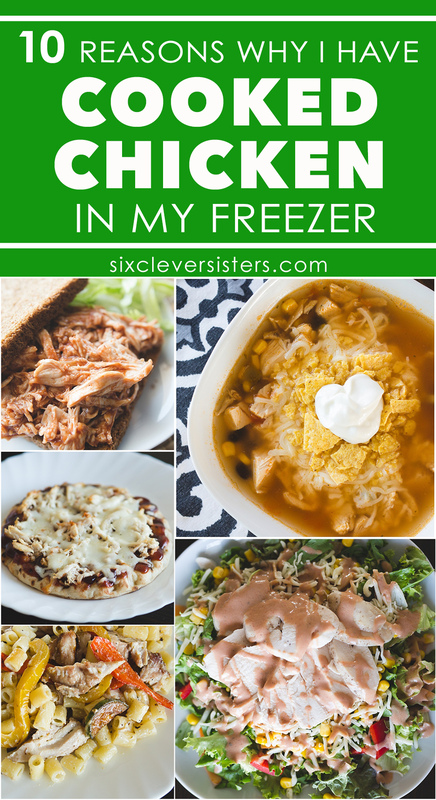 I hope these “10 Reasons Why I Have Cooked Chicken in My Freezer” inspire you and help you! Quick, yummy, home-cooked meals can still be an option on busy nights if you’re a step ahead having cooked chicken in your freezer! I have been getting Emails from the blog all day. There have been over 100 so far. You may already know there is a problem. Sorry!! Yes and I’m so sorry!! We were loading a new blog theme to try, and the theme loaded with all of the example posts that came with it. We were deleting as fast as possible.